We were invited to provide the wedding videography for Lau and Kit, an amazing couple who celebrated their big day in the most spectacular setting that is the Natural History Museum! London is a wonderful city for a wedding and especially for a wedding videographer to create a beautiful, timeless film that lasts forever. We were contacted by the talented Seyi from Once Upon a Destination to film a wedding at the Natural History Museum, needless to say we were very interested to know more! The couple were Kit and Lao whose love for each other was very obvious for all to see and our meetings with them and their family members were always full of ideas and creativity for their wedding video. Kit & Lao had a fabulous religious Ceremony in a Church just off the Kings Road in Chelsea. The ceremony from start to finish was very moving and uplifting including a full Gospel Choir and a soloist with the voice of an angel, all of which we captured on film. 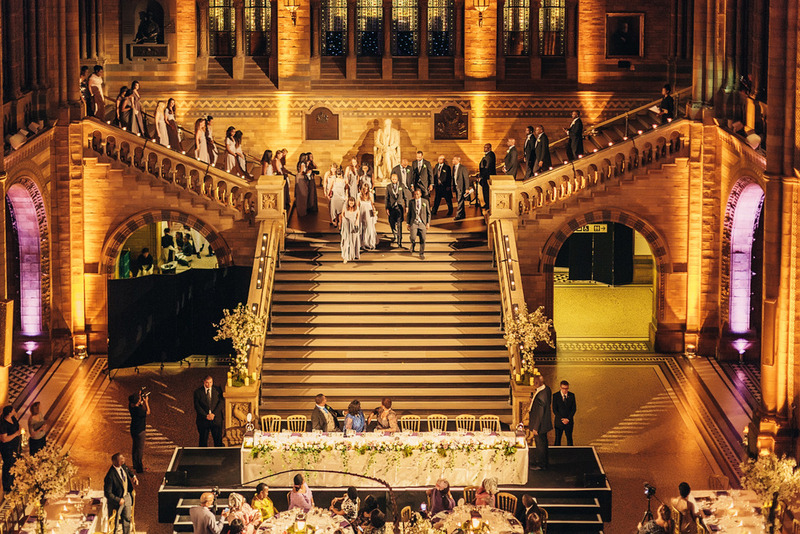 After the beautiful, romantic ceremony all the guests headed off to the Natural History Museum for Canapés and Champagne, before a sumptuous full sit down meal followed by dancing and wonderful music until the early hours! They were lucky enough to have a beautiful day as the sun was shining on them. 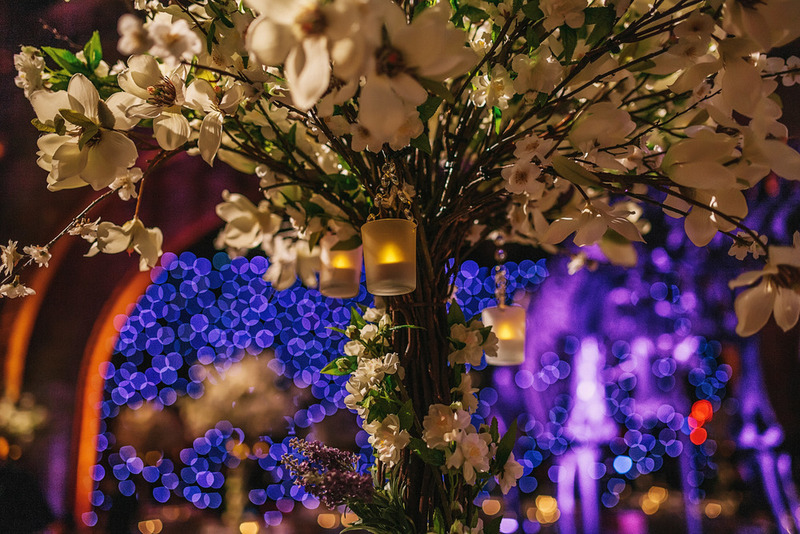 When they arrived to catch a first glimpse of their wedding reception the room had been transformed into a wonderful tree lined room full of the most exotic flowers created by the talented and creative team from Essential Couture London. As wedding cinematographers every element is of key importance to us and Kit & Lao's wedding was bursting at the seams with details. Of course the day had its challenges for us. The venue is very strict on where you can film or position your equipment so we had many meetings with the museum's event management beforehand where we discussed and planned what we wanted to film for the evening. There is also only one hour turnaround time allowed to turn the museum's main hall into a dining/reception room. That was a huge challenge as we needed to film the set up, the cocktail party, the guests arriving and the couples portrait session with the photographer - all of which were taking place at the same time! In the end everything worked as we intended thanks to our team's efforts and their forward thinking attitude which are so essential in wedding videographer work. We wish Kit and Lao a wonderful marriage, blessed with happiness and fortune for many years to come. "Apos and Jo so carefully ensured that when we watched our wedding videos we would instantly be transported back to the happy day, their artistic flair shone through and they managed to capture moments that we weren't even aware that happened! The wedding films they created for us is something we and our families will cherish forever. Thank you." Behind The Scenes from Kit & Lao's wedding at the Natural History Museum in London.